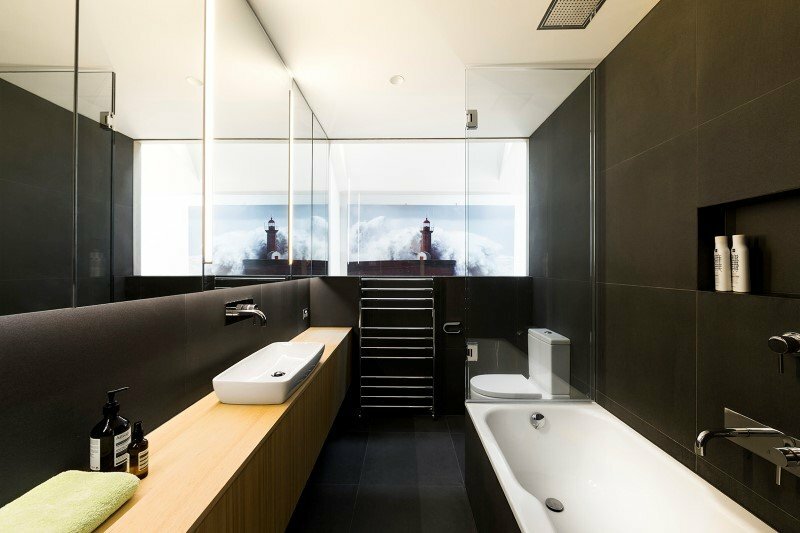 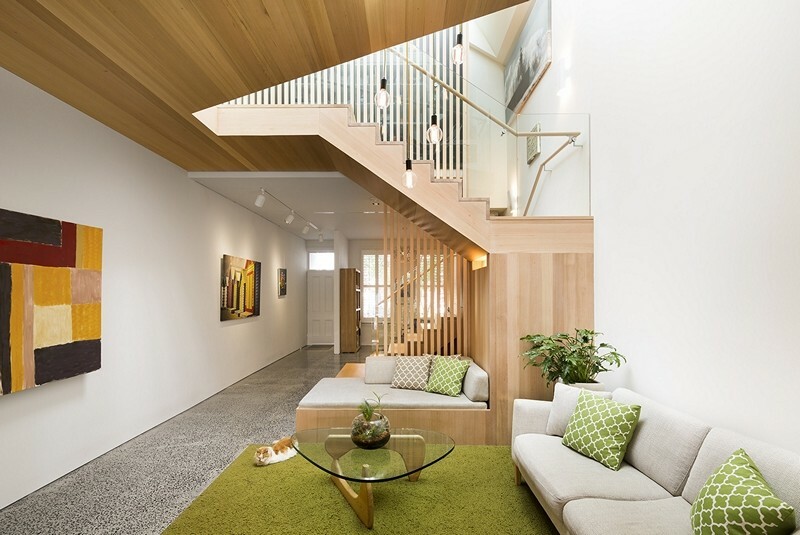 South Melbourne House is a renovation project completed by Mitsuori Architects. 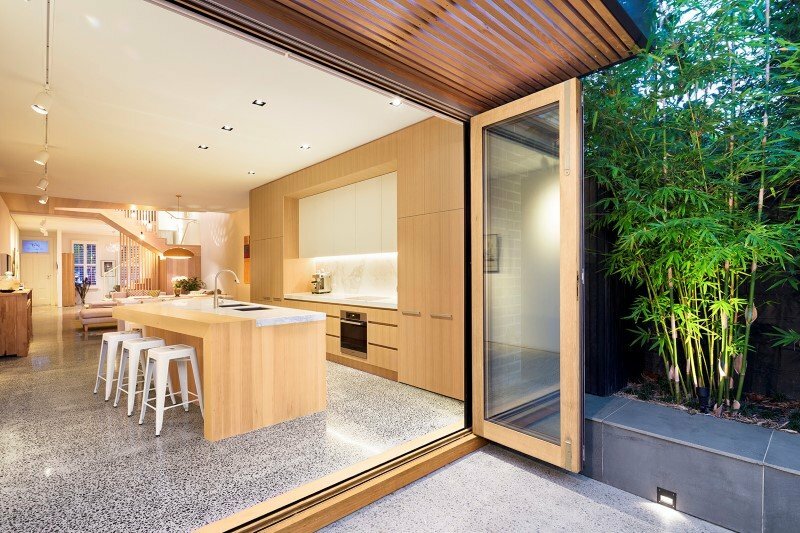 Description by Mitsuori Architects: This refurbishment of an existing double storey terrace house in South Melbourne opens up the entire ground floor and encloses an existing courtyard to create a communal multi-zoned family space that incorporates a lounge, quiet sitting room, and dining/kitchen areas. 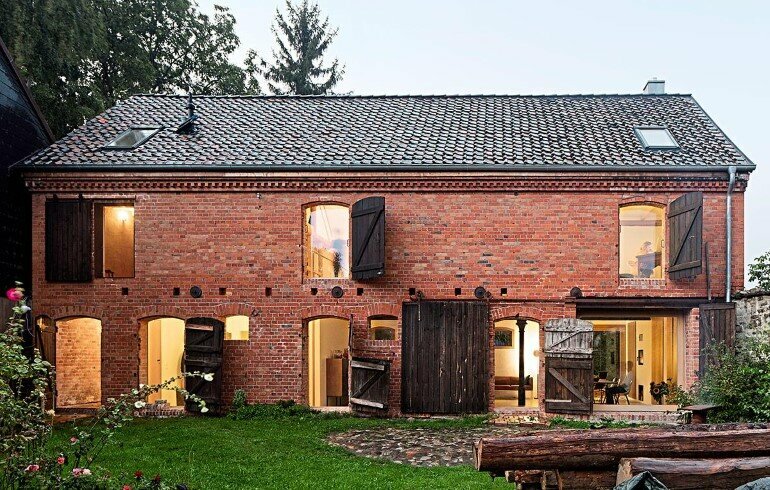 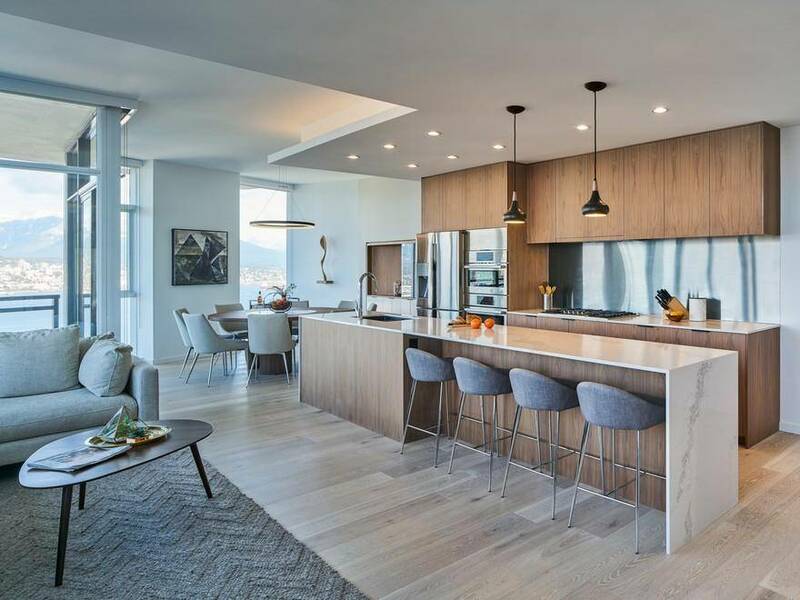 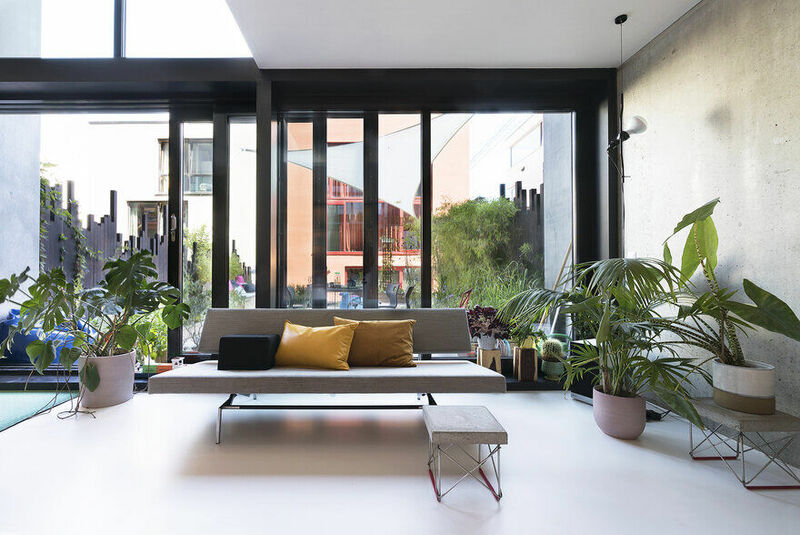 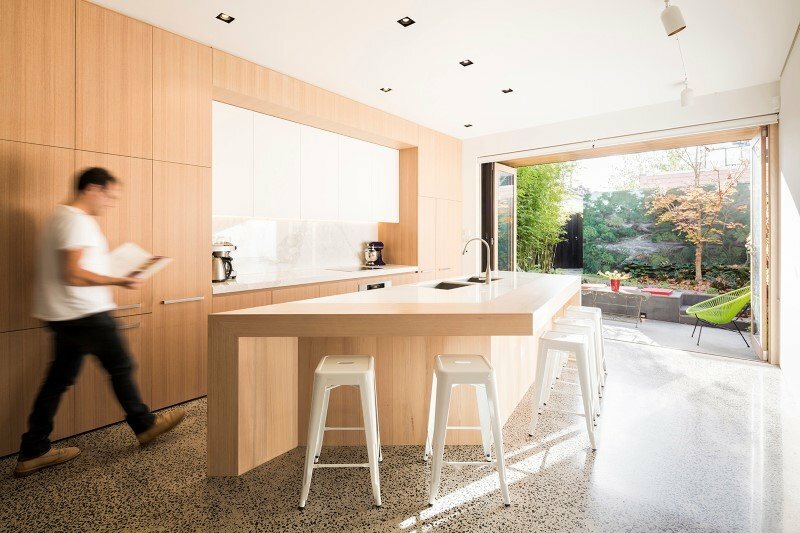 The family’s values of living and working together in shared spaces underpin this architectural design solution. 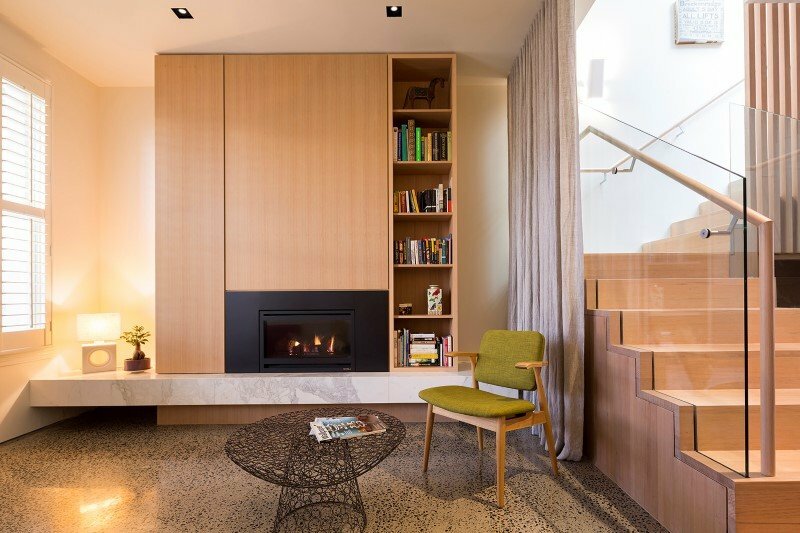 Our client requested that the design focus on the creation of interesting internal spaces that would allow the family to enjoy time together whilst also providing separate zones for studying, reading, socialising and relaxing. 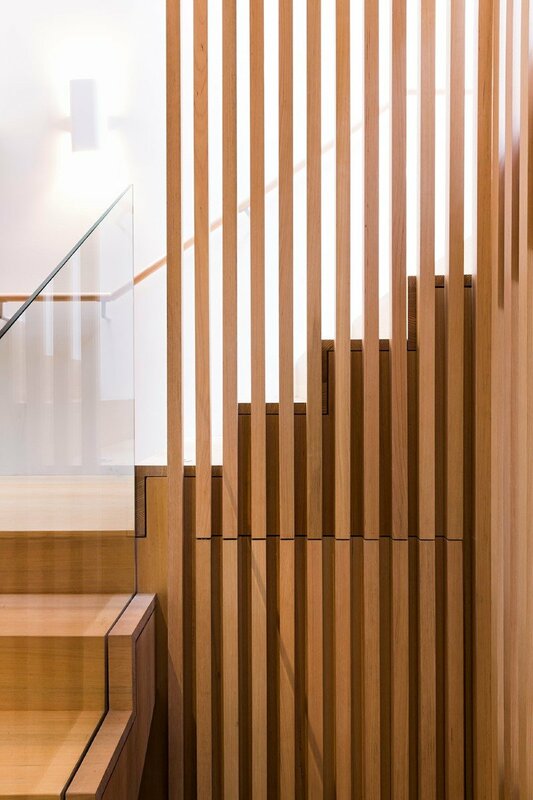 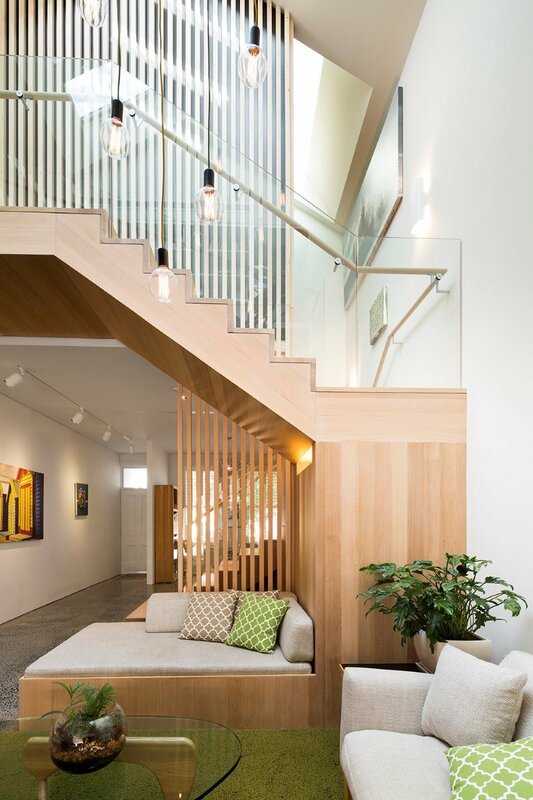 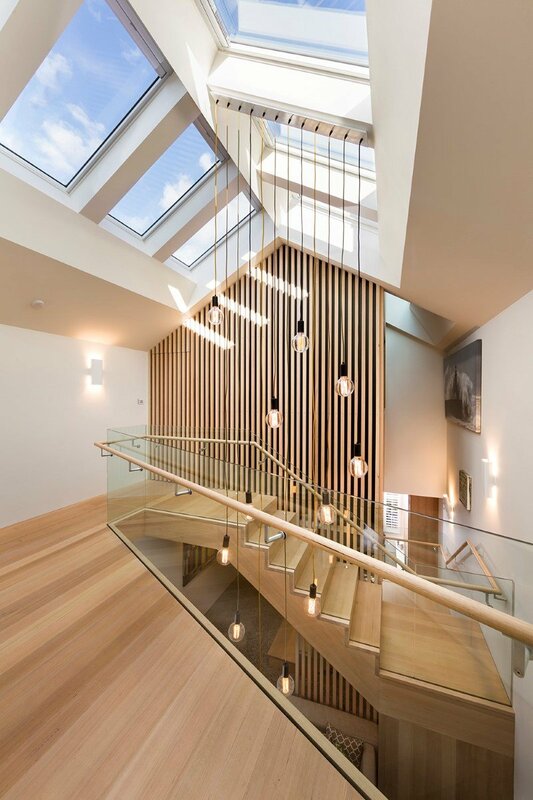 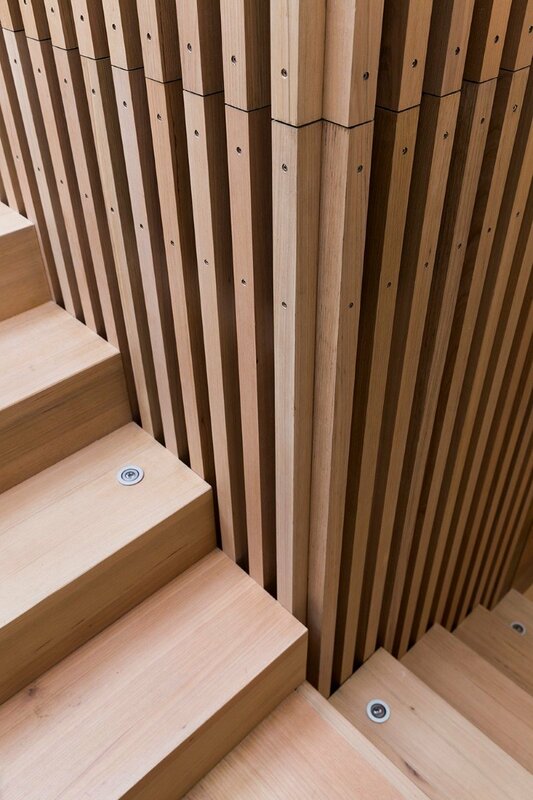 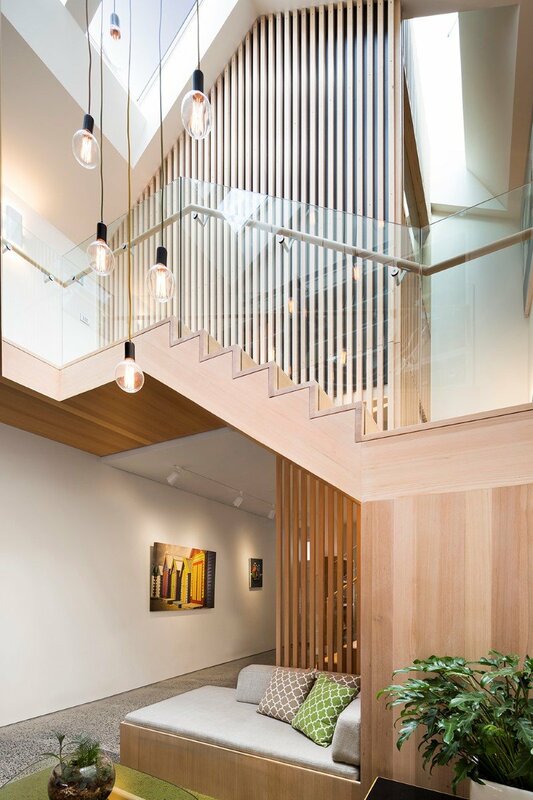 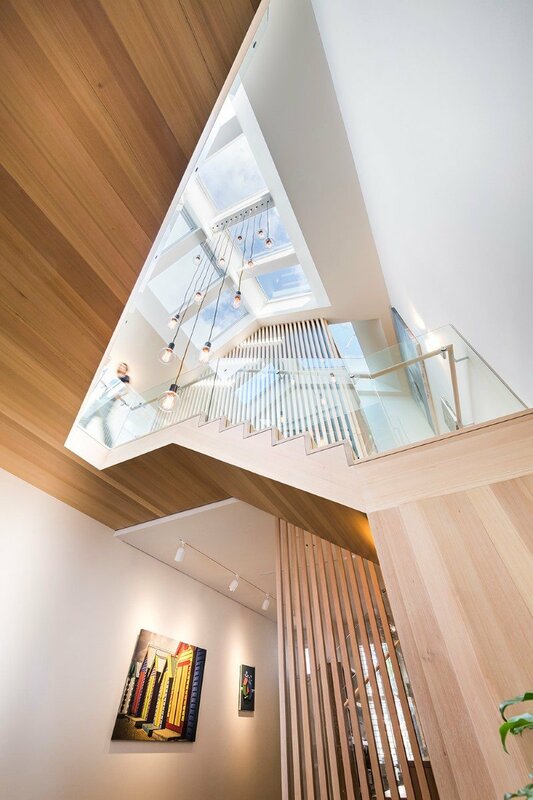 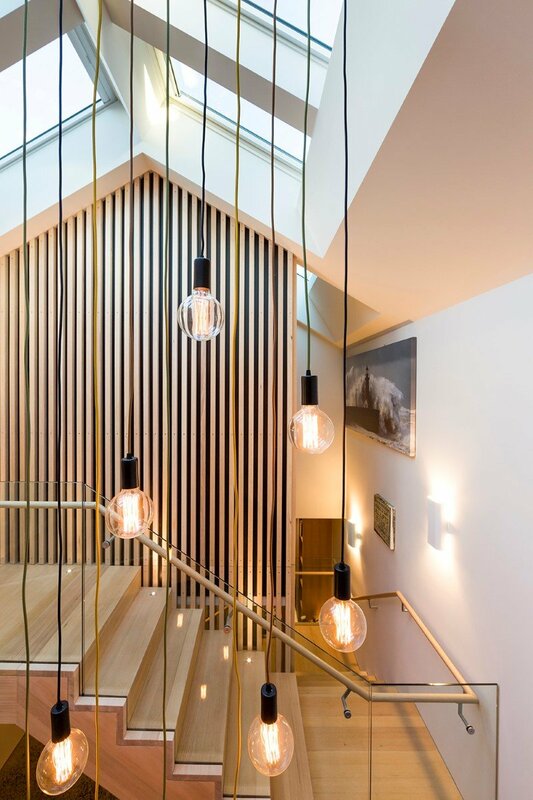 A sculpted timber stair wraps around a sky lit void and acts as a central ‘node’ which connects the main living space with a first floor studio, concealed master bedroom and children’s bedroom zone. 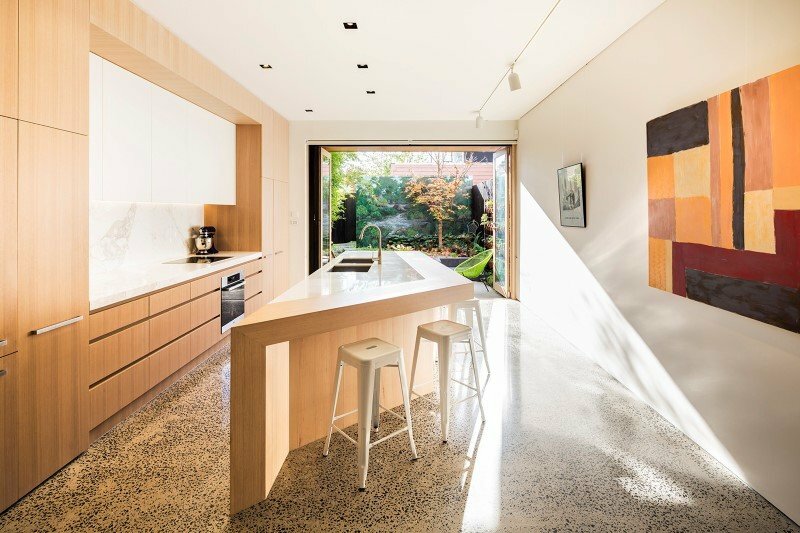 The existing concrete floor slab has been ground and polished to expose the dark bluestone aggregate, which is offset against crisp white walls and refined timber and stone joinery elements to create a light, serene space with a natural, refined aesthetic.